By clicking the icon, you will launch a pop up. 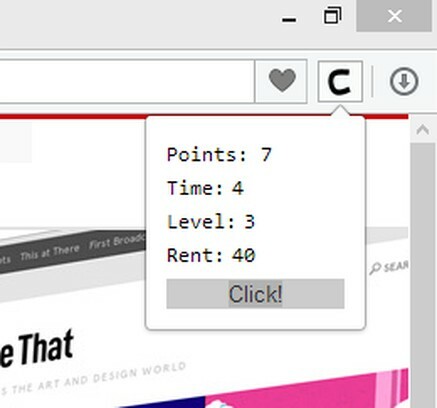 Inside the pop up, you can click a button to gain points. Each level has a certain amount of points you must obtain within the time limit to move on. 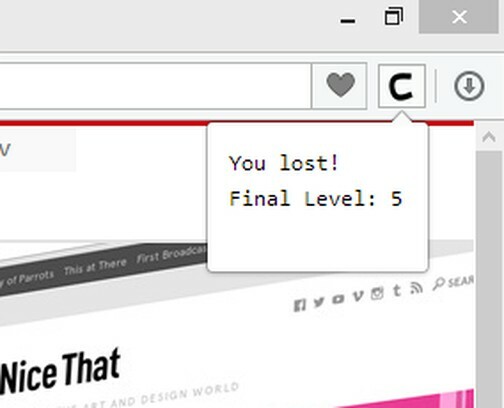 When you lose, your level is displayed so that you may take a picture of it.